B.J. McLeod (Owner/Driver) and Jessica McLeod (Owner) of BJ McLeod Motorsports (BJMM) are excited to start a fourth season as a NASCAR XFINITY Series (NXS) Team in its new state of the art facility in Mooresville, NC. This year, the organization will field three (3) cars with its respected No. 78, No. 8 and No. 99 car numbers. 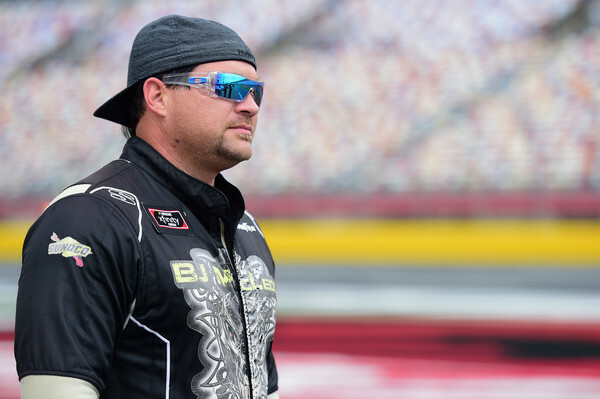 “After going straight to work the week after Homestead, (Homestead-Miami Speedway, Fla) all in preparation for 2019, we feel like we got a great start for the upcoming season,” said BJ McLeod. “We are stoked to announce our driver line-up and we are all looking forward to spend our weekends at the track,” BJ added. Vinnie Miller will pilot the BJMM flagship No. 78 NXS car. Vinnie will continue his campaign as announced in September last year. Vinnie signed a multi-year agreement to drive for BJMM. “Vinnie did a great job coming on board the last six (6) races of last year. We are ready to repeat and this time, it will be for a full season,” said the team driver/owner who also competes in the MONSTER ENERGY NASCAR CUP Series. 22-year-old Matt Mills from New Philadelphia, Ohio will pilot the No. 8 NASCAR XFINITY Series (NXS) entry in 2019 beginning at Daytona International Speedway in Daytona Beach, Fla., on Saturday, February 16. Mills enters his fourth year of NASCAR competition. He has 22 NASCAR starts between the NXS and the NASCAR Gander Outdoors Truck Series. Supporting the effort will be JF Electric and longtime partner, Thompson Electric. Finally, the third car, No. 99 NXS will have a carousel of drivers such as B.J. McLeod, Tommy Joe Martins and JA Avila Jr. with open seats still available to welcome drivers to the team. “It is with great enthusiasm to have Tommy Joe Martins back with the team. Martins has played a great part in helping us improve our on-track performance over the last two years and we are looking forward to what’s to come. Avila joins the team again this year and after two top twenty finishes in his first two starts, the future looks promising,” said owner Jessica McLeod.